What cat doesn't love a good mouse chase? These ever popular mouse-shaped cat toys won't cause you a fright though - from small to large, we have just the mouse your cat has been looking for! 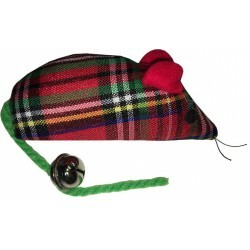 Mouse Shaped Catnip Toys There are 17 products. Toughie is stuffed with our pure all-natural catnip! 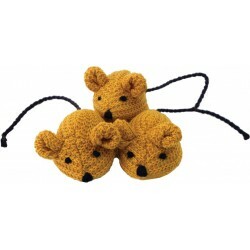 These cute knitted mice come packaged as a set of three on a header card. Set of 3 Mousebirds, plush mice filled with polyester fiberfil and North American grown catnip, with wispy feather tails. Assorted colors. 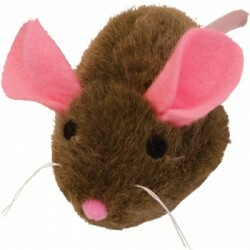 This fun mouse is hand-filled with our 100% pure Cat Claws Naturally Nip Catnip grown in the USA and sewn closed, so you can be guaranteed of a safe, fun toy for your kitty! Includes a bell inside for added enticement. Approx. 7" long x 3" H. Formally known as Charity Mouse. 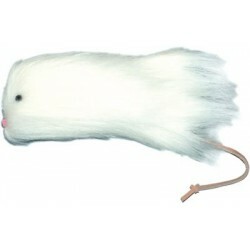 This classic looking catnip mouse is approximately 3.5” long not including the tail. 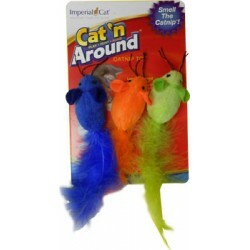 Your cat will love grabbing, chewing, kicking, and flinging it around. It's purr-fect for the kitty that loves chasing mice!